Contrary to the opinion of real estate experts of a decline in property transactions in Dubai in 2016, the emirate has registered transactions worth Dh68.48 billion in the first 53 days of 2016, showing signs of ‘thriving’ property market. “Investors are buying into the property market and we can see that with registration of Dh68 billion worth of deals since January 2016 till February 22, 2016. 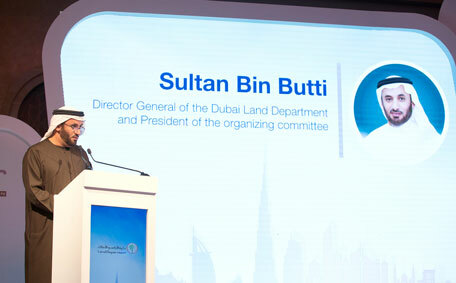 “In fact, we expect to touch Dh300 billion in real estate transactions this year,” Dubai Land Department Director-General, Sultan Butti Bin Mejren told Emirates 24|7 on the sidelines of the ‘Cinder Dubai 2016’. The total value of transactions rose 22.5 per cent to Dh267 billion in 2015, compared to Dh218 billion in 2014. When asked about reports from local to global property consultancies predicting slowdown, the Director General said: “People talk of a correlation between lower oil prices and property, but we haven’t seen any such thing. Earlier this month, KPMG, a consulting and audit firm, said property prices in the emirate will be under pressure this year due to lower oil prices and strong US dollar, the market will start to recover in 2017 as infrastructure work surrounding the Dubai Expo 2020 gets under way. JLL, a real estate consultancy, continues to state that the UAE remains an attractive real estate market, offering value to owner-occupiers and those investors who take a long-term perspective. Property consultancy Land Sterling has reported net rental returns of up to 10 per cent in Dubai. Besides, demand for housing will continue as Dubai Municipality expects population to increase to five million by 2030. Earlier in his opening speech at Cinder Dubai 2016, Bin Mejren said: “The department has a comprehensive vision aimed to transform Dubai into a global real estate destination. Nearly 500 participants representing more than 50 countries will attend the three-day event, which will continue till February 24. Themed ‘Smart Registration for a Smart City’, the event has over 60 expert speakers with the aim to reach a global consensus on unified international laws for the effective governance of real estate registration, including the use of cutting-edge technological advances such as smart registration. In its report on the ‘Ease of Doing Business for the year 2016’, the World Bank ranked the UAE first regionally in both dealing with the construction permits, the delivery of electricity, the protection of small investors and registering property and the non-payment of taxes, which does not affect business, processing construction permits and the enforcement of contracts.